1. Computer control over the entire process. 2. From film roll to final bag, one process flow. 3. Servo motor, makes it easy to adjust the bag length and the production speed. 4. 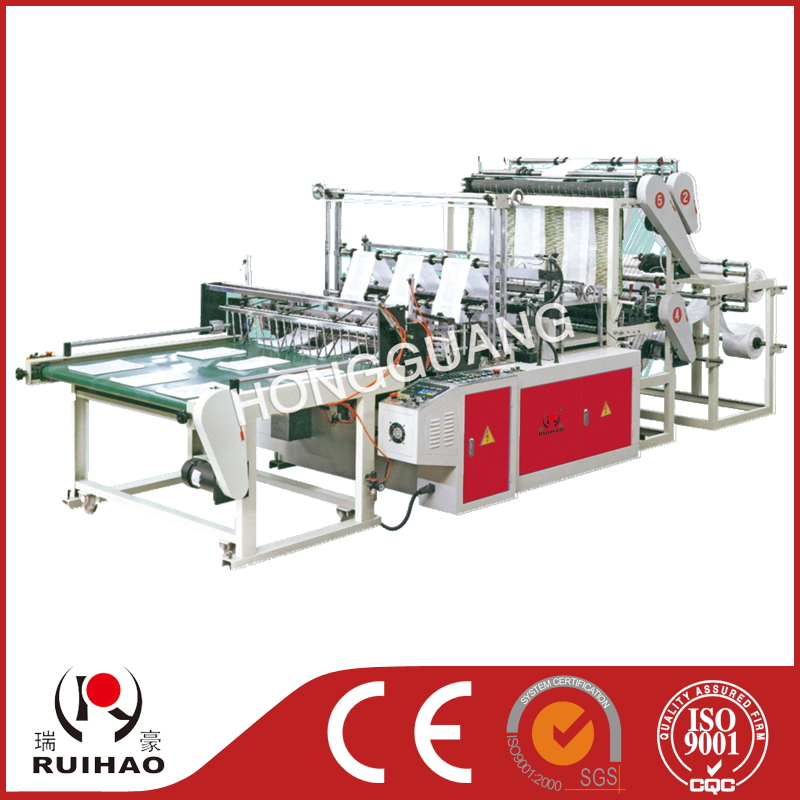 Automatic film feeding, coordination free from tension adjustment. 5. Automatically stop when film feeding blocks or bags jam. 6. High production efficiency to save manpower and time. 7. Equipment with heat sealing and cold cutting device.